Technology has entered into the day to day life and with the impact of it, smartphones and computer have become the part of life. For writing and taking notes research says using the hand is helpful to remember the information. Technology help to complete the work quickly whereas writing help to remember and understand the work to the core. Writing enhances motor skills. The work of the motor skill is to collect the links around your brain which makes it as reading circuit. 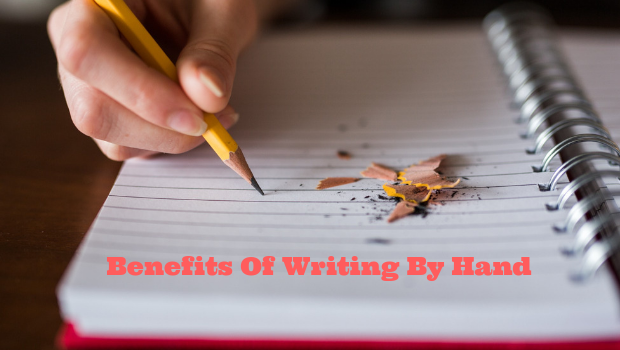 Let us discuss in detail about the benefits of writing by hand. The students undergo stress in their life due to the regular learning habit. To make them fresh and focused on sports activities and writing help a lot. Expressing the thoughts is one of the best ways to come out of the stress from the routines. The thoughts come out of a person with the flow when writing and it is the best way to relax the mind. The connection between the thought process and the action is in the form of writing, playing and involving into the educational activities. One research says that Writing improves the understanding and those who take notes on a computer have less memory and understanding. Writing practice engages the brain with continuous work. Engagement of brain is important for the grasping power and learning multiple skills in the young age. By writing the brain is constantly engaged in activity-based learning. Writing habit reduces the stress and by the way, practicing the brain flexing tasks is a good idea to control the mental aging. Keeping the brain fresh chain of tasks and constant learning or writing is the best way to keep the mind young. When typing on the smartphone or computer there are so many distractions but when writing there is no distraction. For training the mind for the short memory writing with the hand is helpful. Thus, writing in hand is the best practice to enhance memory, to boost the understanding, and to get relieved from the stress. When doing the writing practice with a hand the left brain is active which activate the thinking process. Writing the academic content and writing the personal feelings activates the emotional mind. Writing a diary before to sleep can improve sleep. Previous Previous post: How To Improve English?